Rascal Flatts hosted a Halloween performance for patients and families at Vanderbilt’s Monroe Carell Jr. Children’s Hospital yesterday (10/30). Following the performance, the band visited rooms of children unable to attend the performance. 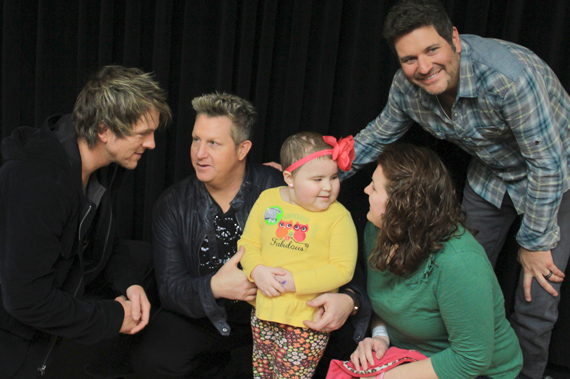 “Rascal Flatts Surgery Center” was established at the hospital in 2010 recognizing the group’s on-going dedication to the pediatric surgical unit. Over 250 of Nashville music industry insiders gathered at Nashville’s The Ruby for the 7th annual End of the Row Party last Thursday (Oct. 25) raising over $7,000 for the T.J. Martell Foundation. The event was hosted by the law firm of Crownover Blevins and sponsored by Merrill Lynch’s Raj Patnik and Zach Richards, BPV Capital Management and The Ruby. 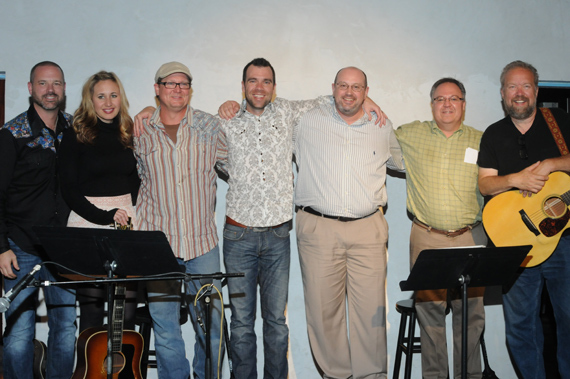 Performers included Jon Randall, Jessi Alexander, Don Schlitz, Tracy Lawrence, Stephanie Lambring, Sammy Arriaga, Jenna Paulette, Bryson Jennings, Caitlyn Smith, and Jen Foster. 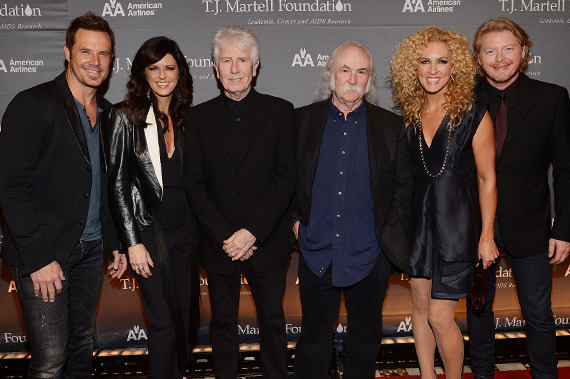 Little Big Town joined Crosby & Nash at the TJ Martell Foundation’s 37th Honors Gala held at Ciprianis in New York on Tuesday (10/23). Both groups performed at the sold-out event.